Easter is a time of preparation in our community; many special services and activities are being held at our area churches. Please feel free to participate; I am sure you are welcome at anyone of these churches to celebrate the Risen Lord. Arcanum Community Easter Egg Hunt on April 20 will be hosted by Faith United Methodist Church and FHC Fellowship for children of the Arcanum community up through the fourth grade. The hunt will be in Ivester Park on Saturday, April 20 at 1 p.m. They plan to hold the hunt “rain or shine” (assuming no downpours or snow). Children should bring an Easter basket to collect their eggs in. Pastor David Florkey of FHC and Pastor Greg Herndon of Faith UMC invite you to join them for a combined Good Friday service at 7 p.m. on Friday the 19 at FHC on the corner of Main and George streets. Faith UMC will held their Easter services at 101 E. South St., Arcanum. On Easter Sunday, April 21, they will begin their services with a “Sonrise” Service at 7:30 a.m., breakfast in the fellowship hall, Sunday School at 9 a.m. and Worship Service at 10 a.m. This year Gordon UMC (Gordon), St. Matthews Lutheran and Grace UMC of Ithaca are hosting collaborative services. Maundy Thursday Services will be at 6:30 p.m. on April 18 at St. Matthews Lutheran and also Good Friday services will be at 6:30 p.m. at St. Matthews Lutheran in Ithaca. On Easter Sunday, combined services will be held at Grace UMC – Sunrise Service at 6:30 a.m. followed by breakfast at 7:30 a.m. and Easter Worship at 9:30 a.m.
On Easter Sunday, PV Missionary Church, 5231 Gettysburg-Pitsburg Road, will host two services 8:25 a.m. and 10:45 a.m. with Sunday School at 9:45 a.m.
Immanuel Baptist Church, 500 W. South St., Arcanum will host a special Good Friday Service at 6 p.m. with a carry-in dinner following the service. On Easter Sunday, they will host Sunday School at 9:30 a.m. and Worship at 10:30 a.m. Pastors Greg Greve and Dan Kuhbander along with the congregation welcome you to celebrate the Risen Savior with them. The adult choir will present their Easter Cantata, directed by Barbara Jackson. On Easter Sunday, Pitsburg COB will host a sunrise service at 7 a.m. followed by a carry-in breakfast. An egg hunt will follow for the kids with a fellowship hour prior to morning services. Easter Worship Services will begin at 10 a.m. They will also share at Joint Love Feast Maundy Thursday service with Painter Creek COB on April 18 at 6 p.m.
All of the churches in our community were contacted and at the time of this writing, there are a few that I have not heard back from prior to my deadline; please contact them directly should you wish to attend one of their Holy Week services. Our town of Arcanum has now posted the Veteran’s Banners on the main streets of town; they look so wonderful! Many, many thanks to all those individuals who worked on this project (especially Sue (Hunt) Besecker and Steve Baker) and to their perseverance to complete this project. Thank you to whomever made the choices of where to hang banners – it looks so neat to see late Tom Stephens and the late Ralph Clines’ banners in front of their former homes on Alternate 49 East. I know my family is especially proud to have my Dad’s banner up (Keith Troutwine); he would have felt so honored. Arcanum’s Old Fashioned Days will be here before we know it! The Arcanum Business Association is now accepting craft vendors, antique dealers, artisans and direct sales reps for the OFD festival. The event takes place in Arcanum on May 17, 18 and 19. If you are interested in an application, please email Jason Blackburn at popscarparts@reagan.com. Arcanum Wayne Trail Historical Society will be open during OFD May 18 and 19 from 1 to 4 p.m. This will be AWTHS’s 15th anniversary celebration. The open house will feature historic house tours, displays about the founders as well as restoration and info about the organization and the building. They will also have a display at the Arcanum Public Library. Summer will soon follow OFD and the Farmer’s Market in Veteran’s Park – they are always looking for vendors. This will open on June 1 from 9 a.m. to noon. Contact Sharon Troutwine for more information at 692-5128. 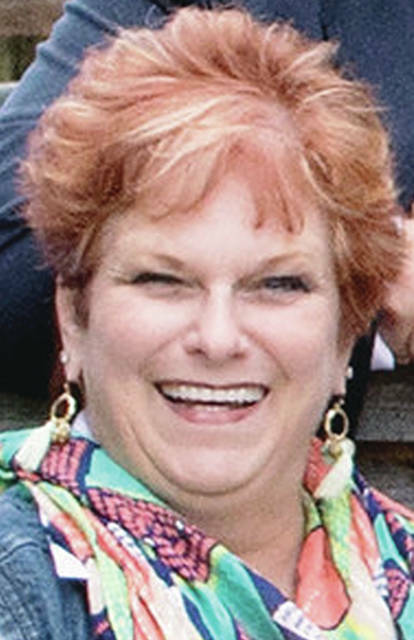 Vickie Rhodehamel is a volunteer citizen columnist, who serves The Daily Advocate readers weekly with her Arcanum community column. She can be reached by calling 937-692-6188, by e-mail at krhodehamel@woh.rr.com. Viewpoints expressed in the article are the work of the author. The Daily Advocate does not endorse these viewpoints or the independent activities of the author. This entry was tagged Arcanum, Arcanum News, Opinion. Bookmark the permalink.